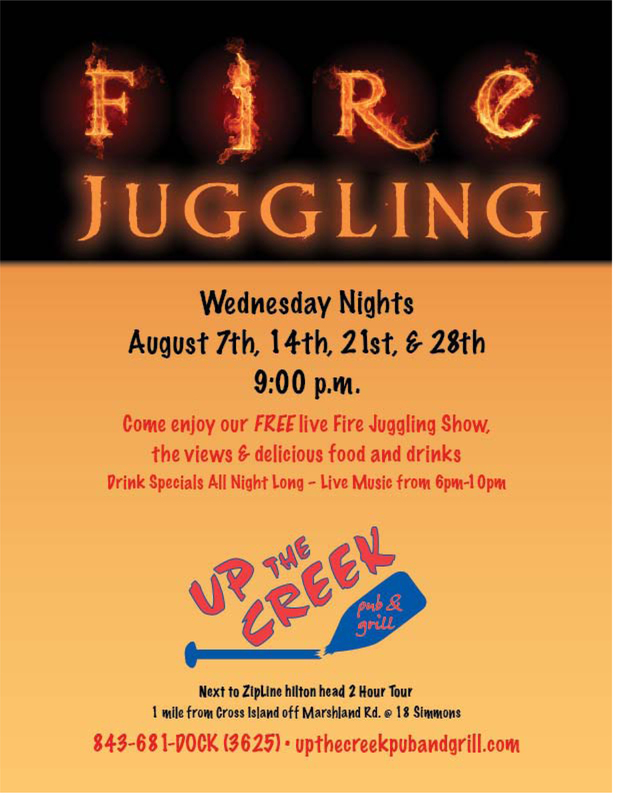 Check out the fire juggling show at Up the Creek this Wednesday, August 21st at 9:00. Live music and great views as well! Chase the Seagulls! — Boiled Peanut Festival!